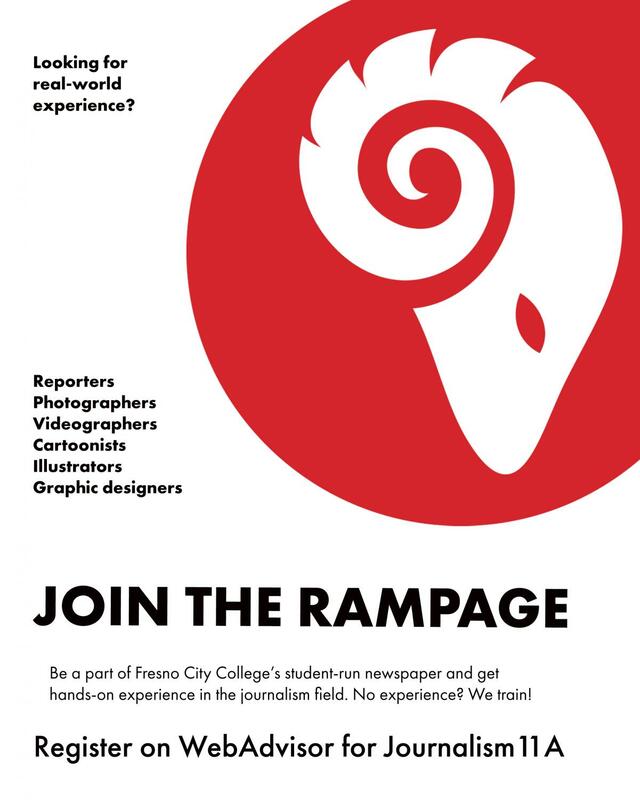 The Rampage and The Rampage Online are an award-winning newspaper and website produced by the Fresno City College Journalism 11 A,B,C,D program. The Rampage is a member of the Journalism Association of Community Colleges. 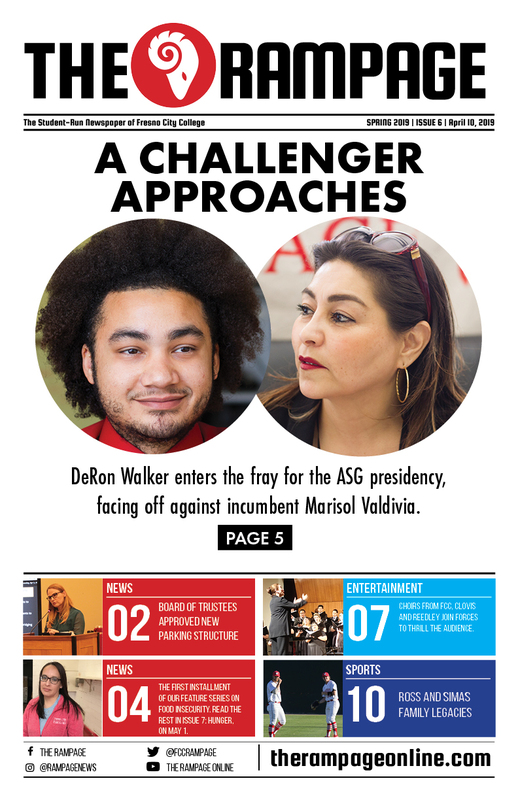 Views expressed in The Rampage are those of the individual writers and do not necessarily reflect those of Fresno City College, its students, administration or the State Center Community College District.